We are now offering our annual “Off-Season Mulch Special” where customers can receive 10% off a mulch service if you schedule this between February 1st and March 15th. Mulch can help to freshen up areas that may need some attention at this time, halfway to spring. We know that mulch improves the appearance of the beds but it also provides much needed benefits to the soil in the area, such as reducing evaporation and providing nutrients. Most importantly, mulching will improve the health of your soil and therefore benefit your plants throughout the season. Cut Rite is proud to offer snow plowing, snow removal and deicing services to home owners and business in Chapel Hill, Hillborough, Carrboro, Pittsboro and Surrounding Areas. As we prepare for possible winter weather this weekend, Cut Rite stands ready to help your home or business stay safe and ice free. For more information please visit our snow removal page, contact us online or call (919) 720-9233. 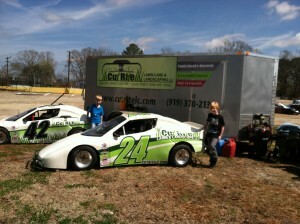 Cut Rite is proud to sponsor Red Head Racing, a two car race team in the Bandolero Series. 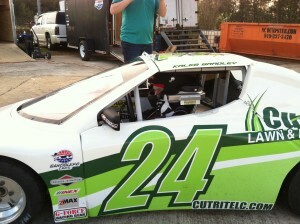 Below are pictures of our drivers Jacob Bradley and Kaleb Bradley age 7 and their first day at the track. 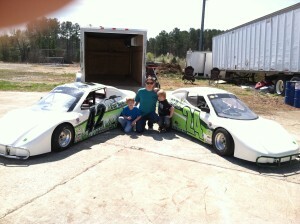 They will be competing for series points championship at both Wake County Speedway and Orange County Speedway. Come hang out with the staff of Cut Rite Lawn & Landscapes and meet the drivers of Red Head Racing, it is a great night out for the entire family. 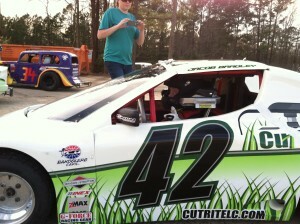 Cut Rite Lawn & Landscape LLC is now scheduling and estimating for our off season mulch special. This special runs every year during the off season to ensure your property stays looking its best, plus it helps keep our crew busy during slow times. Scheduling and estimates can be arranged by calling our office or completing the contact us form. We are starting to schedule and estimate to ensure everyone’s needs can be met. This special will run from January 15th through February 15th. During this time our mulching services will be offered at a 10% discount and that can add up to a whole lot off savings. But don’t stop there, while we are there we can provide weeding and pruning of landscape beds and plantings as well. Since most plantings are now dormant, it is the best time to cut them back and prepare them for new growth this spring. Also, now is a great time to get your homes roof & gutters clean and clear of fallen debris. I know many of our customers live in or around trees and although we may have already provided leaf cleanup of the grounds for many of our customers, you may benefit from having your roof & gutters done as well. Cut Rite is here to help with all of your lawn & landscape needs. If you would like to schedule an estimate or service, please don’t hesitate to call us at (919) 720-9233 or contact us. We would like to congratulate Marcia and Bill Gross from Pittsboro, NC as the winners of the NC State vs UNC Football tickets. We announced the contest on September 8th in our blog post here and by liking our page they were entered into the drawing. Be sure to like our Facebook Page for future updates, special offers and future giveaways. Congratulations again Marcia and Bill! Cut Rite Lawn & Landscape LLC would like to take this opportunity to thank everyone involved for a wonderful season. 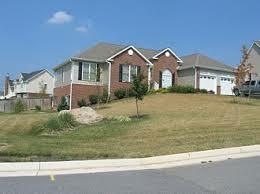 From the start, our goal has been to provide our customers with a lawn they can truly be proud of. Our family-run-business treats every lawn as if it was our own. So, from our family to yours, thank you everyone! We would like to show our appreciation by sending two people to the UNC vs NC State game on November 30th at Kenan Stadium. To enter your name into the drawing, simply “like” our Facebook page and your name will be entered automatically. For those who would like an extra advantage, post a comment and share with others your Cut Rite experience and your name will be entered twice! What is aerating or core aeration? Aeration, which is also called core aeration, is the process of perforating the soil, as well as any thatch layer that may exist, removing a core or plug of soil and depositing that core on the surface to break down. What are some of the benefits of aeration? (1) Aerating will allow water, air and fertilizer to penetrate all the way down to the root zone. This in turn allows the roots to grow deeper, creating a healthier and thicker lawn. (2) It will also greatly reduce the chances of having thatch buildup. (3) Aeration will reduce soil compaction. (4) If you plan to overseed, it will create an optimal environment for direct seed to soil contact. Did Your Lawn Take a Hit This Summer? The mixture of hot and dry conditions so early in the year really took the life out of lawns this season. We have seen a variety of problems this summer due to the early eight week drought coupled by temperatures in the mid 90’s that many of us experienced in May & June. Although not that unusual for July & August, for lawns to have had to face this so early in the season forced them to use their reserves early which are normally used later in the season. This made it almost impossible for non irrigated lawns to hold up and survive the summer. Many of us are now noticing this as we look out our window or enjoy our yards as temperatures cool. As we move into more mild temperatures, it will soon be time to start the reconstruction faze of getting your lawn into good order for next season. As many may already know the time to act is not next season, but right now and Cut Rite Lawn & Landscape LLC is here to help. Contact us or call (919) 720-9233 for more information. You can also learn more by visiting our Chapel Hill lawn aeration and overseeding page.